I love sharing the MANY different ways that you can use Velvet Finishes and any time I can squeeze the word F*UP in there, it makes me happy. 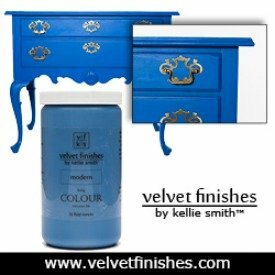 Get your Velvet Finishes paint ready!!!! 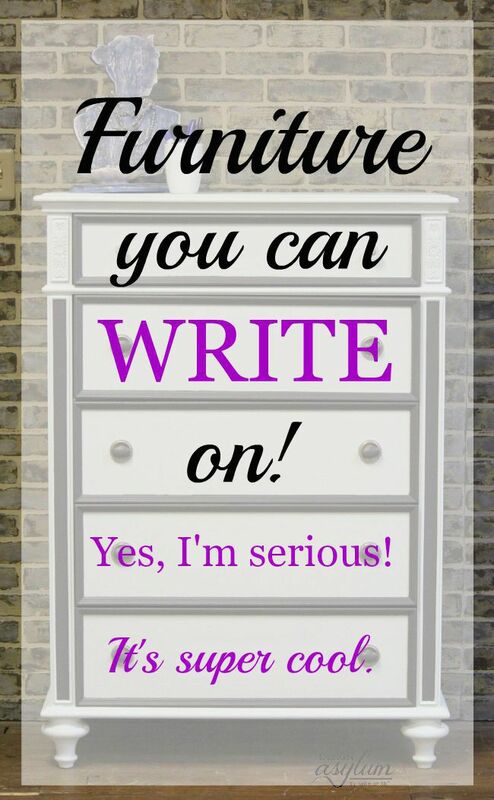 Want a dresser you can write on? Seriously! 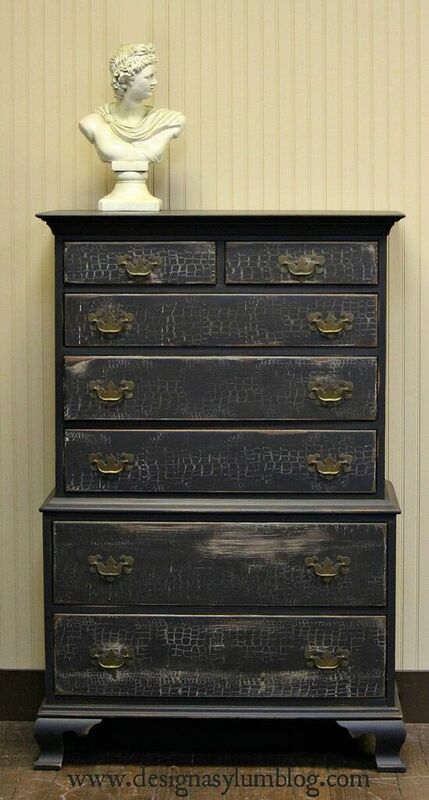 We gave this once old, beat up dresser a coat of Velvet Finishes Cosmopolitan and Timeless. 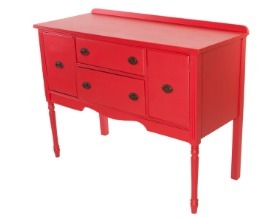 Then I used Dry Erase paint for the drawer faces so they could be written on! All you need is dry erase pens and an eraser & ReMARKable Dry Erase Coating! See the entire process here. 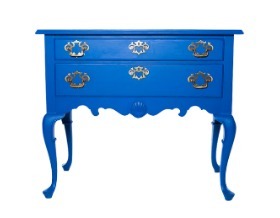 This week’s upcycle had us being a mixologist and creating a custom Velvet Finishes color. 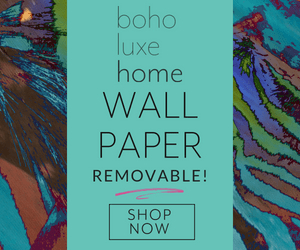 We mixed Velvet Finishes Exotic, Ethereal, and Vivid. I love the subtle pattern using tonal colors created. Amazing how two simple things – the pattern and the two-tone finish – create such a gorgeous piece. 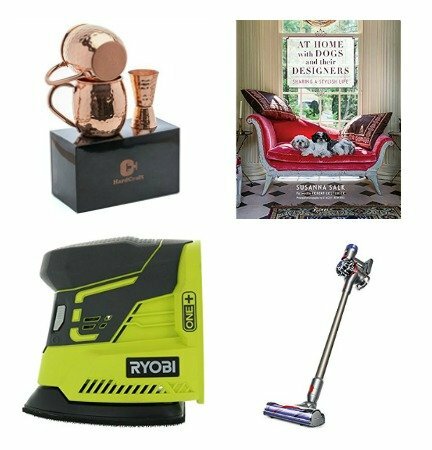 Details can be easy and still create an incredible amount of interest. See my detailed tutorial here. Now this F*UP project was FUN! We got to use our new Velvet Finishes product Decopaste. 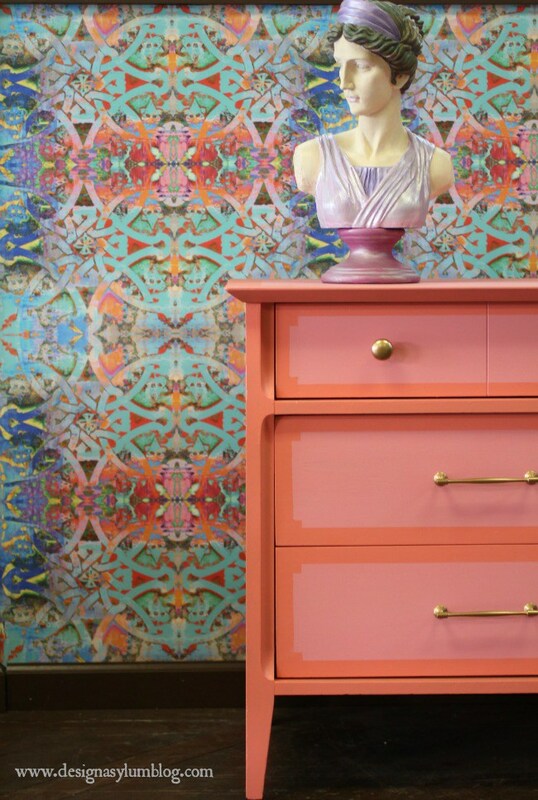 Combining vintage wallpaper, Velvet Finishes Enchanting + Modern, along with the Decopaste, gave this 70’s wardrobe a new life! 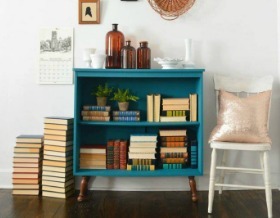 We turned her into an amazing craft cabinet. See my complete how to here. This makeover is truly one of my all time favorites. For this particular F*UP Friday project I experimented with a new roller technique – a Crocodile Roller from Artistic Painting Studio! Velvet Finishes + Crocodile = FABULOUSNESS!!! See all of the details here. 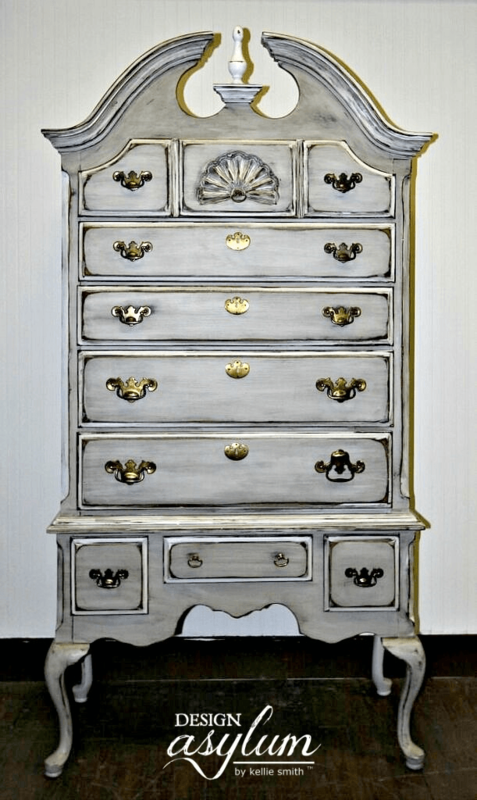 I had this highboy piece for years. It just sat in the corner of my project pile patiently waiting. 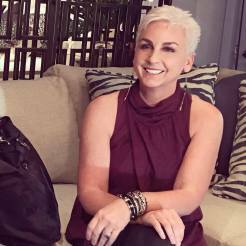 I thought this was the perfect piece for a layered finish and for this F*UP Friday makeover, I showed exactly how easy it is to create a layered finish with Velvet Finishes. OK, so who noticed that one of the handles is on upside down? What. The. Crap. I am laughing so hard right now…. Thanks for hanging out with me today! 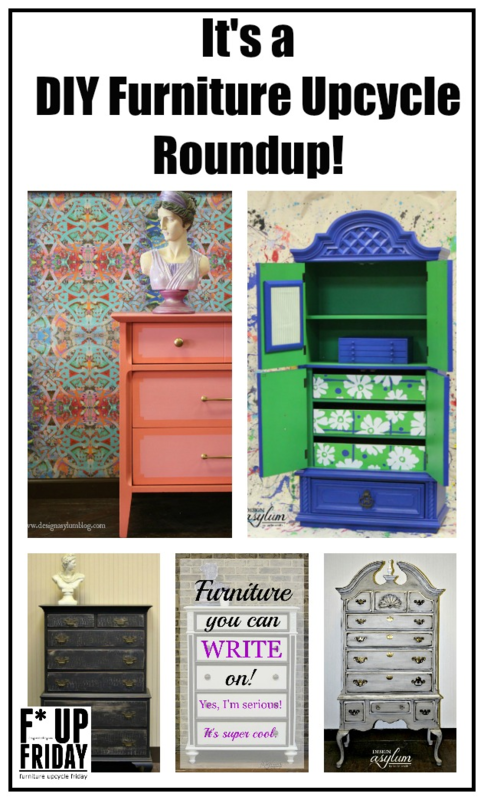 I enjoyed showing you past DIY Furniture Upcycle Makeovers using Velvet Finishes! Call me biased, but I think they are all equally rad!